Happy Easter! He is risen. He is risen indeed. We are Easter people in a Good Friday world, as Desmond Tutu says. I’ve been thinking a lot about what invites the presence of God in our daily lives. This isn’t just about daily devotions, as essential as they are. It’s about the more. Do you want more? I certainly do. Heidi Baker often cries out “More!” in her pre-talk prayers, that we are invited to join in. She doesn’t do anything without God’s presence. Without it, your cup is empty and you have little to give that will last or impact lives. I’ve been reading up on Andrew Murray Jr, who was a beloved 19th century South African pastor. He was mediator, missionary, speaker, writer, and he bordered on the edge of apostolic. He was a strong figure, with a vibrant personality – full of many strengths. His roots were Scottish from his father, Andrew Murray Senior, the pastor of the Graaf-Reinet congregation. His mom was a devout lady from Cape Town, who had sixteen children. He and his older brother John travelled to Scotland and the Netherlands for their university and seminary education. They were both highly influential, as was a third brother, William, who later trained for ministry as well. Andrew was part of several revivals, including one that impacted both Murray brothers when they were in the very liberal Utrecht seminary. The revival that Andrew was most known for was the Cape Awakening in 1860 – 1862, which began first in Montagu, and then spread to Worcester, where he was the new pastor at the time. Other Christian leaders also were able to encourage this move of the Holy Spirit; that happened mostly in the Cape colony. Paul realized that pride and self-sufficiency become stumbling blocks to growing in faith. In his case, he even had a thorn in the flesh to keep him humble. Some have speculated that this was a health problem. If it was, I’m not surprised, for I have one of my own, as had Andrew Murray. He could not sit down very long to write, due to injuries and illnesses he went through in his exhaustive early ministry. I have noticed again and again that God does not always use people in perfect health to accomplish great things. So Andrew Murray learned early that pride and self-sufficiency are stumbling blocks to faith. He learned that lesson more than a few times, which is the case of a strong personality. Yet Jesus says in John 15: 1-8: “I am the true grapevine, and my Father is the gardener. 2 He cuts off every branch of mine that doesn’t produce fruit, and he prunes the branches that do bear fruit so they will produce even more. 3 You have already been pruned and purified by the message I have given you.4 Remain in me, and I will remain in you. For a branch cannot produce fruit if it is severed from the vine, and you cannot be fruitful unless you remain in me. 5 “Yes, I am the vine; you are the branches. Those who remain in me, and I in them, will produce much fruit. For apart from me you can do nothing. 6 Anyone who does not remain in me is thrown away like a useless branch and withers. Such branches are gathered into a pile to be burned. 7 But if you remain in me and my words remain in you, you may ask for anything you want, and it will be granted! 8 When you produce much fruit, you are my true disciples. This brings great glory to my Father. Do you notice the verse where non-abiding branches are to be burned? This reminds me of the scenario of being allowed to burn out, even if it has happened within trying to do Christian things. This also includes the scenario of just leaning on your own strengths, even if they are absolutely amazing gifts. The lasting fruit comes from remaining in the vine. This process is called abiding in God’s presence. It’s similar to the soaking prayer I’ve shared about previously. If you have a strong personality with many great abilities, these are good things. However, you may want more than good things. If you are involved in any kind of ministry, it is important to give these to God daily. Spend deep time with him. Without him, these strengths can become weaknesses in which we burn out trying to accomplish good things. For those who already have weaknesses, then you need to know your limitations and give those to God. Weaknesses can include illness, disability, circumstances and challenges of a different sort. These that can make one feel inadequate. One of my favourite inner healing teachers was Leanne Payne, who wrote a book called The Healing Presence. In it, she says that we need to learn our sense of inadequacy, so that we have to depend on God. If you are weak, you already know this, but you need to know who to turn towards. Turn to Jesus! When we give God transcends those weaknesses to show strength, so these people can accomplish incredible things for God, in many fields – not just in the church. Father, I admit that I’m a selfer, and have been struggling in my own resources to live the Christian life. I confess that my life is a failure and a mess. I now give up my life and affirm with You my death with Christ. I also affirm that I have risen with Christ and am seated in Him in the heavenly places. I give you complete control of myself and everything I’m hanging onto to meet my needs. Do with me whatever you choose. I now thank you that Christ is my life. When I prayed this prayer, it was a form of surrender of my self-suffiency. This is still a process, but I am thankful for the ministry of the man who shared this book and course. Hudson Taylor was a missionary to China around the same time period that Andrew Murray was active in South Africa. He also learned this lesson and burned out in his ministry. He had a wonderful gift of identifying with the Chinese and becoming like them as much as he could. However, the need overwhelmed him and he became ill. During a recovery, he learned the importance of abiding in Jesus. He called it his spiritual secret and quoted John 15 as his life scripture. Abiding became how he could do anything. What does “to abide” mean? Modern English gives different versions of abide, which makes light of the word; like the merely tolerate or obey. But an older version of the word means to remain, continue, stay, persist; and even to live or dwell. It is the word dwell or live that is closest to the biblical view of abide. In Hebrew the word is ‘yashabh.’ This is an incredible closeness that invites us to live in the very centre of God’s heart. He wants us to stay there. He wants to love on us before we run off to play and work. Abiding applies to deep daily surrender. It’s not just a once and a while thing. God helps us to do this. Andrew Murray wrote a book called Absolute Surrender. In it, he encourages us that it is not impossible to give everything to God. How is this so? It is because it is God himself who helps us. It was the Holy Spirit who helped me to pray that selfer’s prayer, and it was God that continued my ongoing surrender, so that I could live more and more in peace and not in strife. Andrew wrote: “God does not ask you to give the perfect surrender in your strength, or by the power of your will; God is willing to work it in you.” He also quotes Philippians 2 verse 13: For God is working in you, giving you the desire and the power to do what pleases him. Jesus gave the ultimate absolute surrender. Andrew Murray said that the life of absolute surrender has two sides: on one side, to work what God wants you to do, [and] on the other side, to let God work what HE wants to do.” This is a process, but God helps you on the journey. Then the blessings flow out onto you, because now your cup is empty and waiting – to be filled with and by Holy Spirit! The whole idea of being filled with God’s peace, love and purpose is to allow the blessings. The blessings are one part of experiencing God’s love. Earlier (in other posts) I talked about allowing grace to overcome obstacles. Those obstacles were like speedbumps. This journey is the same process, but from a deeper perspective. This is a continuation from receiving Holy Spirit for our own lives to receiving Holy Spirit continually to reach out to other people. Those other people may include your friends, family and your sphere of influence. In our case, our current sphere isn’t just in Canada, but is also in our new community of Worcester, South Africa. We could easily burnout if we rely on our own strength. I can tell you, there are some days it can be difficult – especially with our crowded schedules. We can continually practice the presence of God (which is something I will share about another time). However, we need to have adequate time for God. Give him your schedule. Make a space for him. We need to take a specific time and set it in your calendar – think of it as a date with God. And in your daily life, allow his interruptions – they usually involve unexpected blessings that you can’t ignore. These flow from your time with God. One of our Afrikaans pastors, Pieter-Louis and his wife Sume, make a date with God every evening after nine. This is a great sacrifice of time – but since they do this, I can say that this dear couple are so full of the love of God that they are wonderful to be around. Their ministry is a genuine one. Their sufficiency is not in themselves, and they are growing in God as a result. The fruit of the Spirit is easy to see in their lives. My last example is that of our Iris ministry founder, Heidi Baker. While her schedule is even more intense than ours, she and her husband Rolland spend hours with God. They have no sufficiency in themselves, even with doctoral degrees. Their lives in Pemba, Mozambique have crazy interruptions, intense difficulties, spiritual warfare, and the many challenges that can arise in African countries. They rely on God for finances to feed, clothes, educate and minister to thousands in Pemba alone. That doesn’t include the mercy and relief ministries they do throughout the world. Throughout the difficulties, they are in prayer and worship. They know they face impossible tasks. Each time, they put their lives and ministry COMPLETELY in God’s hands. Heidi often shares of the time where she was so burned out that she no longer wanted to be a missionary. She instead wanted to go work in K-Mart (a American budget department store, similar to PEP in South Africa). So, she surrendered it all again to God. It didn’t take long for God to restore her, although the next season of her life was intense and difficult. But now the Holy Spirit could strengthen her in perseverance. It’s at times like this that we realize it is impossible to continue your ministry, or any long-term task that matters with God. Then we can relax and depend on God’s faithfulness. He doesn’t let us down. 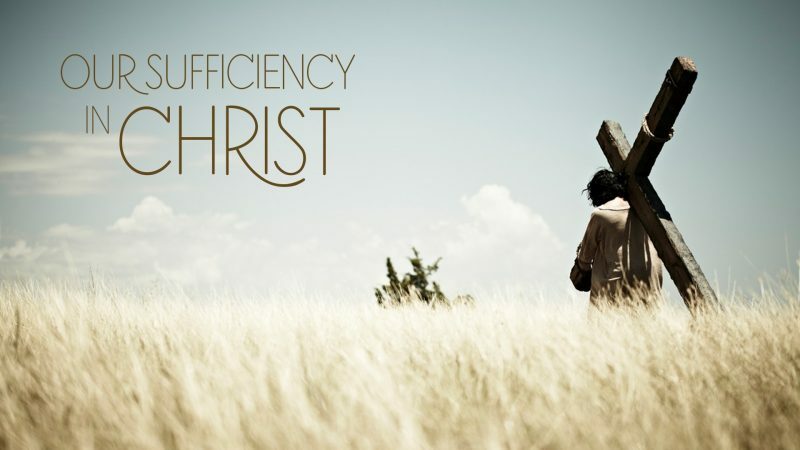 So remember, surrender that self-sufficiency. Learn from the examples of Jesus, the apostle Paul, Andrew Murray, Hudson Taylor, Leanne Payne, Heidi Baker and others I’ve mentioned. I will share more on this soon. Allow God to help you as he did them. You won’t regret it. You can hear Laurie-Ann share Ways to Grow in God on CWCP – Copples Western Cape Radio on Thursdays, 8 pm South African Standard Time.